Due To This Reason Sonu Nigam Was Rushed To The ICU Of Nanavati Hospital! Bollywood’s famous Singer Sonu Nigam often keeps in news for his songs and statements. Sonu was recently admitted to Nanavati Hospital in Mumbai after he developed a severe skin allergy. According to entertainment news portal SpotBoye, Sonu was having dinner at a restaurant in Bandra Kurla Complex when the incident took place. The portal states that Sonu’s rash was so acute that anti-allergens would have been of no help. After that he took antioxidant medicine but had no effect. Hence he was immediately rushed to the Nanavati hospital. For early and good treatment, hospital authorities apparently kept him under Intensive Care Unit (ICU). After a two-day stay in the hospital, Sonu began to feel much better and was discharged. 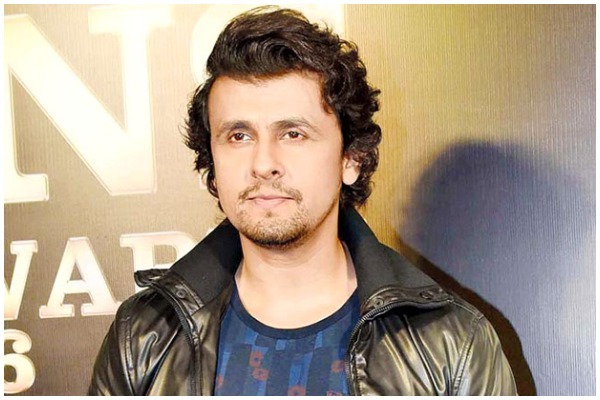 Bollywood’s well-known playback singer, Sonu Nigam who has given voice to such popular songs like ‘Chhoti chhoti raatein’, ‘Sandese aate hain’, ‘Bole chudiyan’, ‘Abhi mujh mein kahin’ began his singing career at the age of four. He also hosted and judge many singing reality shows. Apart from singing Sonu try his hand in acting too. He acted in films such as ‘Jaani Dushman’, ‘Kash Aap Hamare Hote’ and ‘Love in Nepal’. Recently, Sonu Nigam performed on second episode of Royal Stag Barrel Select MTV Unplugged season 8. As a tribute to his favorite singers Ghulam Ali, Pankaj Udhas, Jagjit Singh and others, Nigam enthralled audience with his trademark enigmatic style.